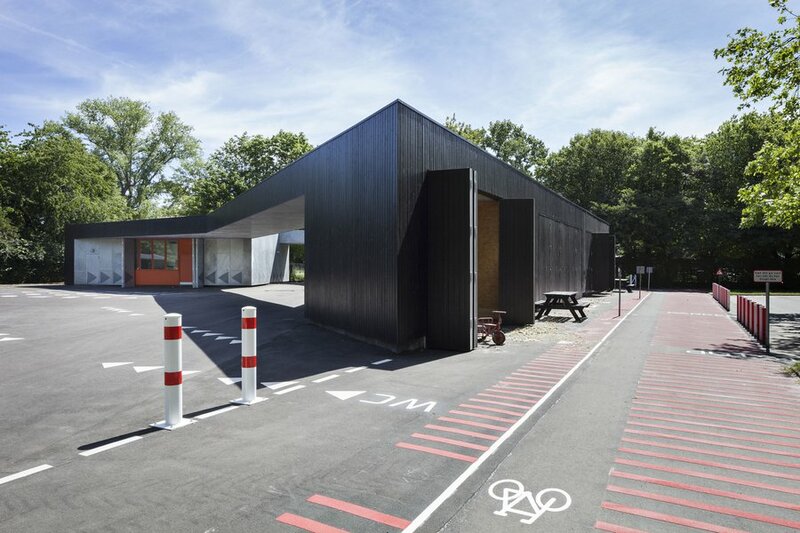 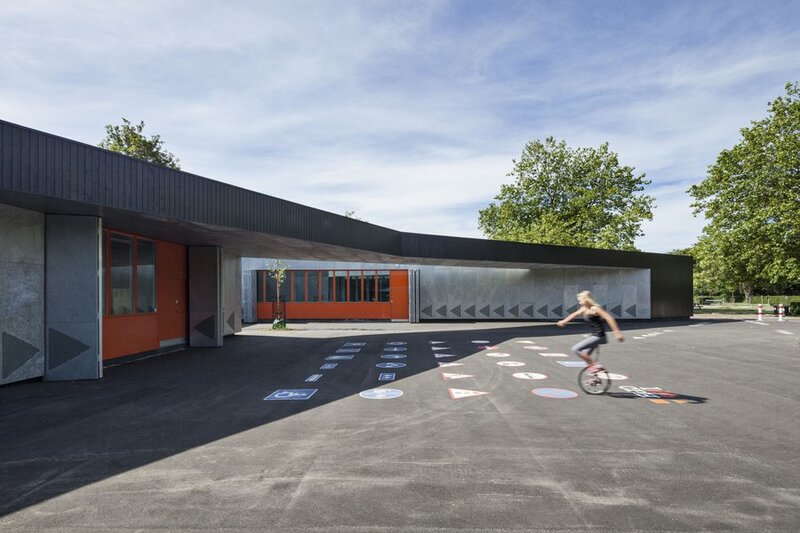 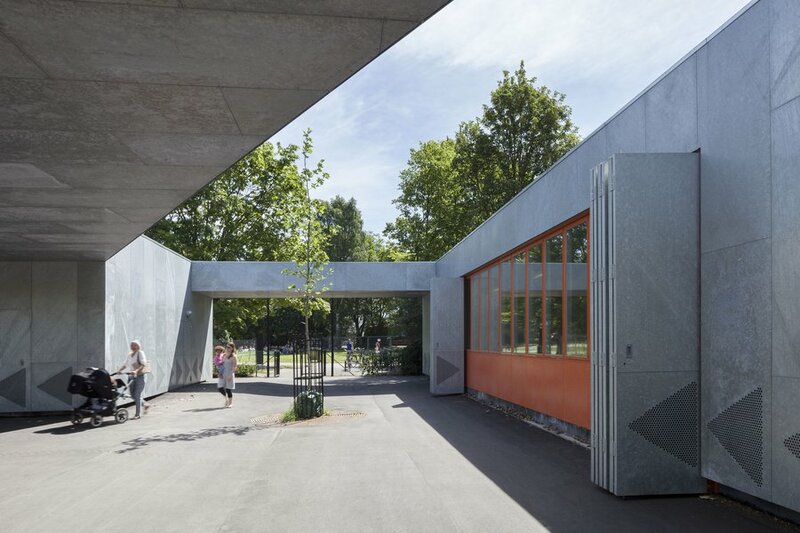 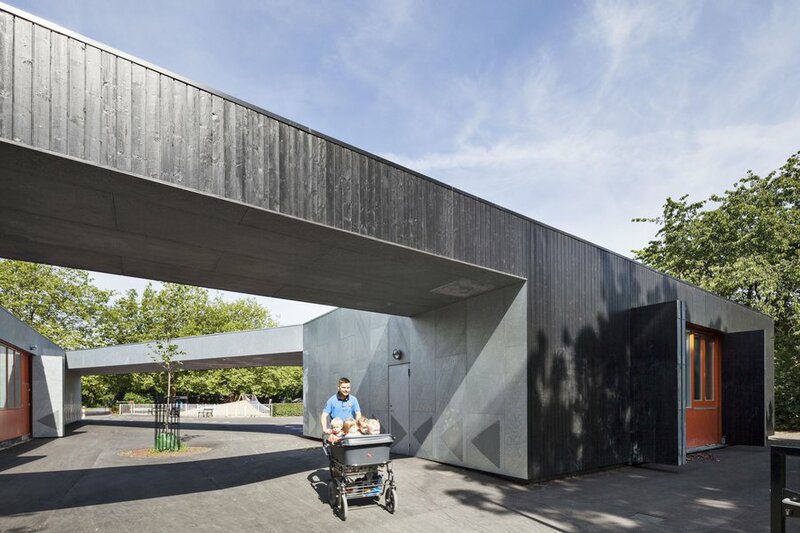 About The Traffic House project is a modernisation of an existing classroom structure, a new workshop and go-kart garage building at Fælledparken in Copenhagen. These are joined by a large roof structure that creates a new portal to the popular Traffic Playground. 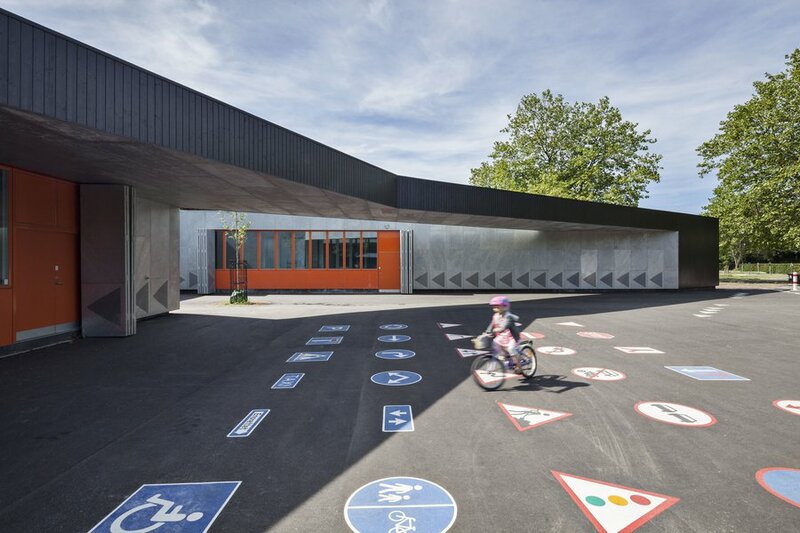 This is where school classes go to learn about traffic rules and test their skills on site. 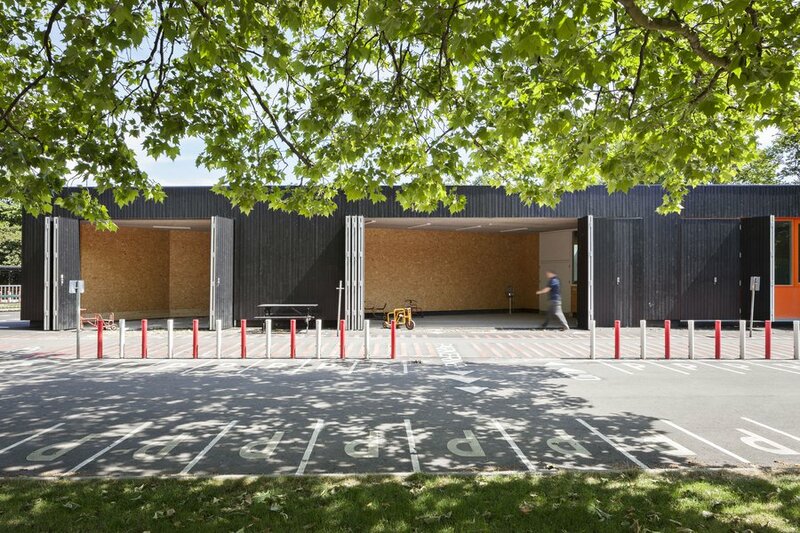 The images emphasise the spaciousness of the new Traffic House and capture both scale and materials. 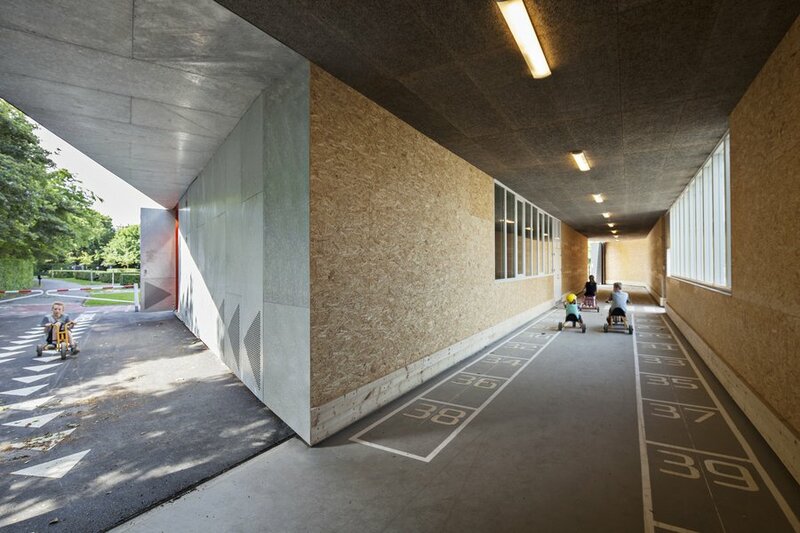 The atmosphere and social interaction within the space are also highlighted in the series.